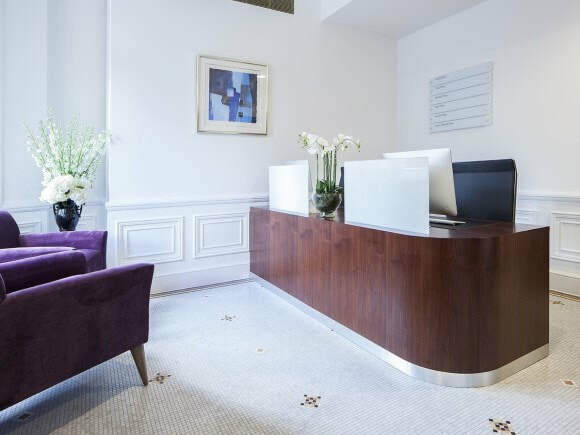 Sloane Street offices are within close proximity to Sloane Square tube station and close to London Victoria. The business centre offers quality office space with a number of amenities within including two meeting rooms and a professional reception helpdesk that can answer calls in a company name. Retaining many of its original décor features, the interior has been modernised tastefully mixing old with new in a complementary manner. Serviced offices offer a choice many shapes or sizes and are fitted out with high standard furniture and telephone handsets. Broadband and phone line points are also installed in all suites too ready for a seamless move in period with IT support is on hand to assist connectivity. With bicycle storage and shower facilities within, these offices have an abundance of features with even a communal garden area to take a breath of fresh air.